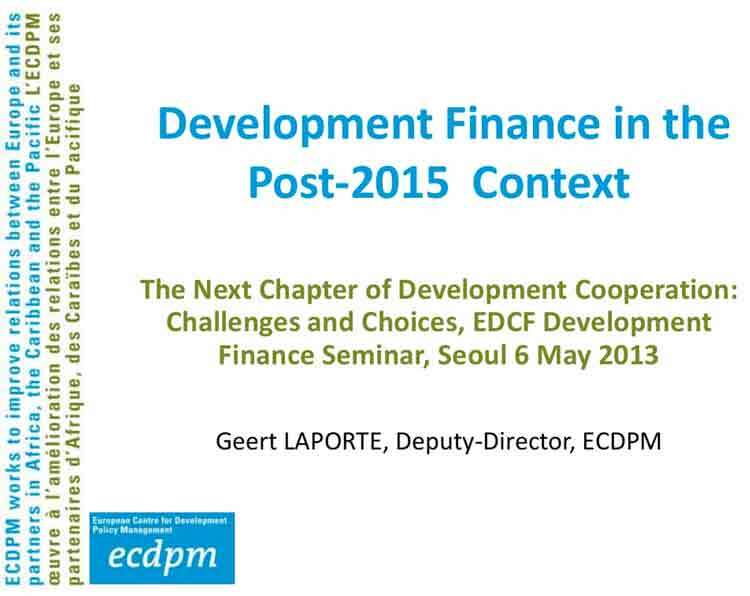 ECDPMEventsFinancing a transformative post-2015 agenda – how does infrastructure finance fit in? Ahead of the release of the 2014 European Report on Development, the Overseas Development Institute (ODI), the German Development Institute / Deutsches Institut für Entwicklungspolitik (DIE), the European Centre for Development Policy Management (ECDPM), the University of Athens (Department of Economics, Division of International Economics and Development) and the Southern Voice Network are organising a high level meeting on the role of finance and other means of implementation in the post-2015 agenda with a specific focus on infrastructure finance on 3 June from 12:00 BST / 13:00 CET / 14:00 Greek time until 15:30 BST / 16:30 CET / 17:30 Greek time. The quantity and quality of infrastructure has major implications for social, environmental and economic transformations but there is too little investment in infrastructure. Infrastructure finance gaps worldwide are estimated to be an annual $1-2.5 trillion. 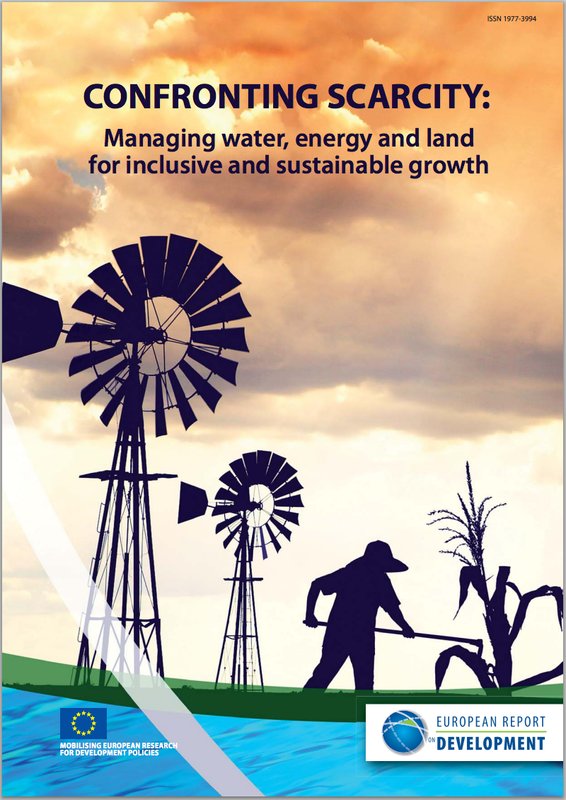 Part of gap could be addressed by greater efficiency or better policies, but it is clear that a range of finance flows will need to be mobilised and used effectively to address remaining infrastructure gaps. How can this be done? What is the specific role of the (international) public sector and when does the (international) private sector step in? How can public and private sectors mix? 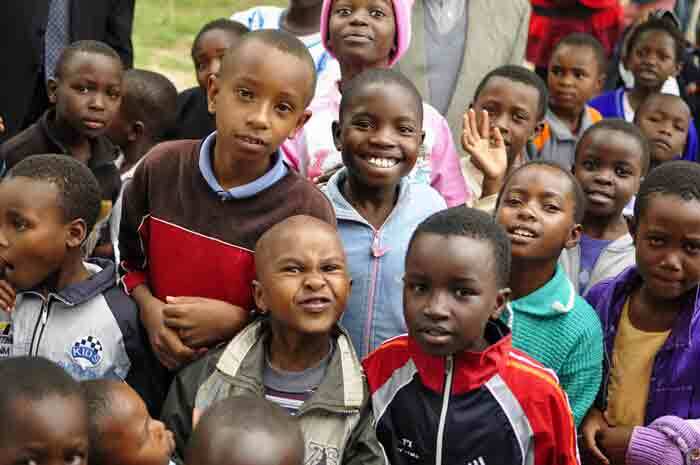 And how can a post-2015 framework provide the right signals? 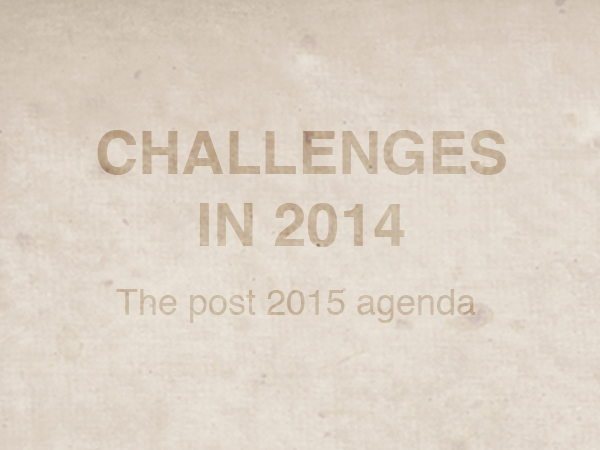 Leading experts will discuss this challenge supported by the emerging themes from the ERD 2014 project. Follow #ERD2014 on Twitter for live coverage. For more information and to register, please visit the event page on the ODI website.